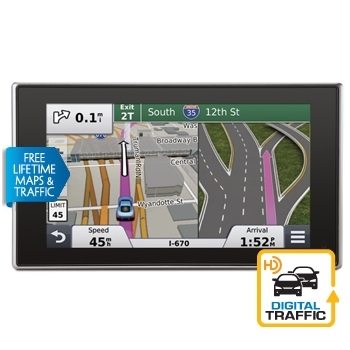 The GPS Store is happy to offer Garmin’s most advanced PND – the Nuvi 3597LMTHD as a refurbished model. Carrying the same 1 year manufacturer’s warranty the refurbished model has been tested to meet factory specs and comes packaged in a plain white box and includes all the accessories that a new unit comes with. Stop by and visit Scott and Brian in booth L8 at the Annapolis Sail Boat Show Thursday October 10th – Monday October 14th. They will be sure to offer you a deal you can’t pass up on the hottest marine electonics from ACR, C-Map, FLIR, Furuno, Fusion, Garmin, Icom, KVH, Lowrance, Navionics, Poly-Planar, Raymarine, Shakespeare, Simrad, Sitex, Standard and Viking! Oh yeah, and if you can’t get to Annapolis, Don’t Worry – all our great show specials are listed on our website as well. Click Here and get to outfitting your boat!